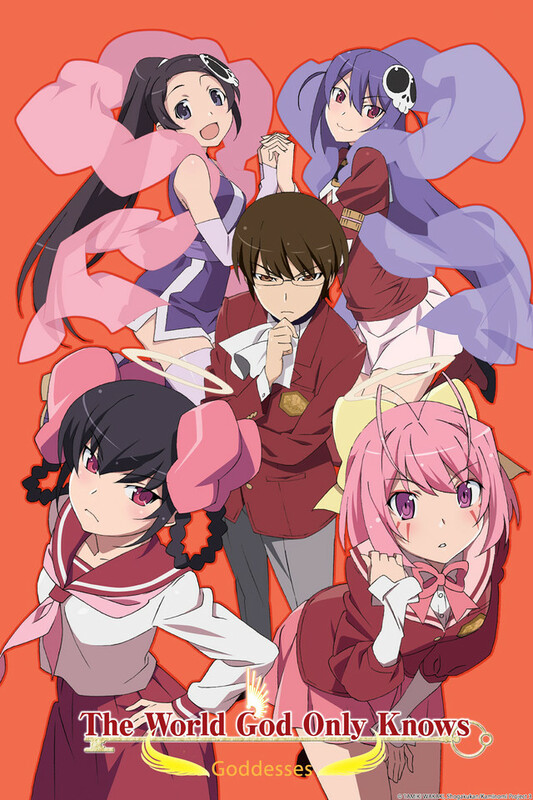 Keima, a high school student, is an avid player of romantic simulation games. He is known on the Internet as the "Divine Capturer" for his legendary skills to "capture" any 2D girl in games. In his real school life, Keima is considered nothing but a gloomy geek with thick glasses. Keima receives an e-mail offering him a contract to "capture" girls. When he accepts it thinking it is an invitation to a game play, a demon from hell nicknamed Elsee shows up. She asks for his cooperation to help her in hunting evil spirits on the run. These spirits hide themselves inside the lonely girls' heart, and Elsee suggests that the only way to force the spirits out is to "capture" their hearts, by making them fall in love and filling up the hollows which the runaway spirits hide in. Just the kind of job for the Divine Capturer! Interested only in 2D girls, however, Keima is appalled by the idea and refuses the assignment. He has no romantic real life experiences whatsoever. Nevertheless, with the contract already executed, Keima has no choice but to help Elsee no matter what; if they fail, it is Elsee and Keima who will lose their heads.